As you may have heard, a new Sonic the Hedgehog movie is speeding our way, and, as with Detective Pikachu, Hollywood is giving our blue hero a rather…odd makeover. A new teaser image has been released via IGN, and while we only get a silhouette of Sonic, it’s clear this is a very different take on the hedgehog. Check it out, below. So yeah, not only is Sonic covered in fur, but he appears to have a much more “realistic” muscular body. Realistic very much in quotes as there’s nothing particularly natural about a blue porcupine with the body of Usain Bolt. Sonic movie producer Tim Miller (Deadpool) explained the thinking behind the new look. Okay, let’s not dance around it – this version of Sonic looks like a furry. Obviously, some folks are going to be very happy about that, but is it going to appeal to a wider audience? I don’t know. Given the success of Wreck-It Ralph, which renders its video game stars in more traditional ways, I don’t really understand why Hollywood is suddenly obsessed with giving them a “realistic” (again, quotes required) makeover. 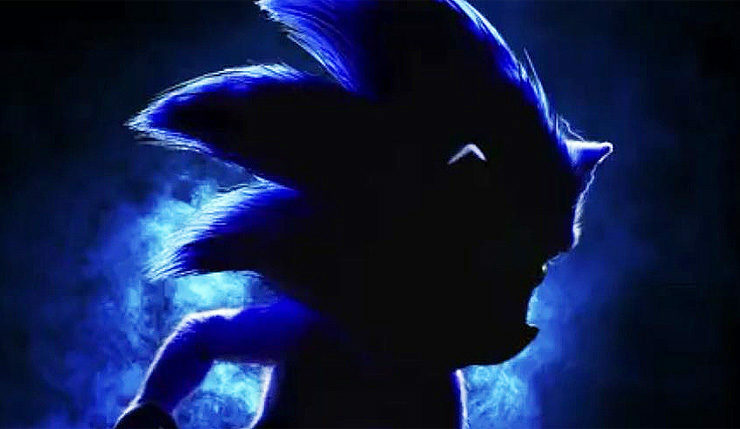 Sonic the Hedgehog is scheduled to hit theaters on November 8, 2019. The movie stars Ben Schwartz as the voice of Sonic, and Jim Carrey as Dr. Robotnik. Yes, really.